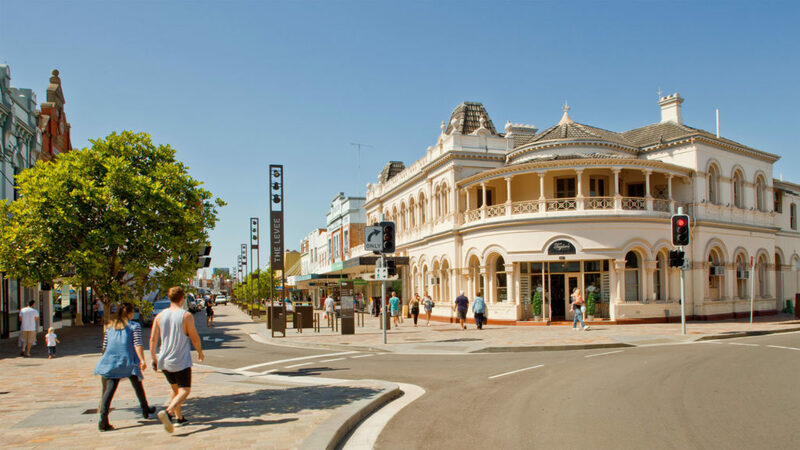 Maitland High Street is the key public space in the historic Maitland CBD and was converted from a bustling retail street to a heritage pedestrian mall in 1988. 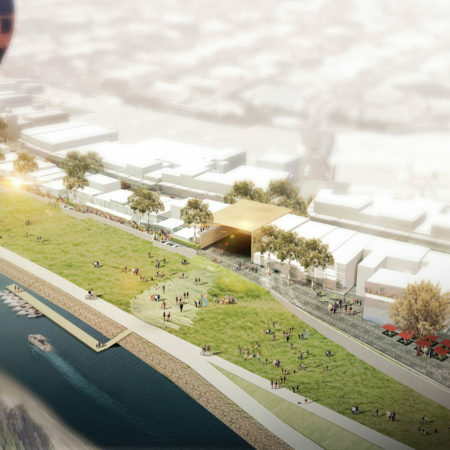 The 270m long riverside mall design was typical of the global urban movement to remove vehicles from the centres of towns and cities. 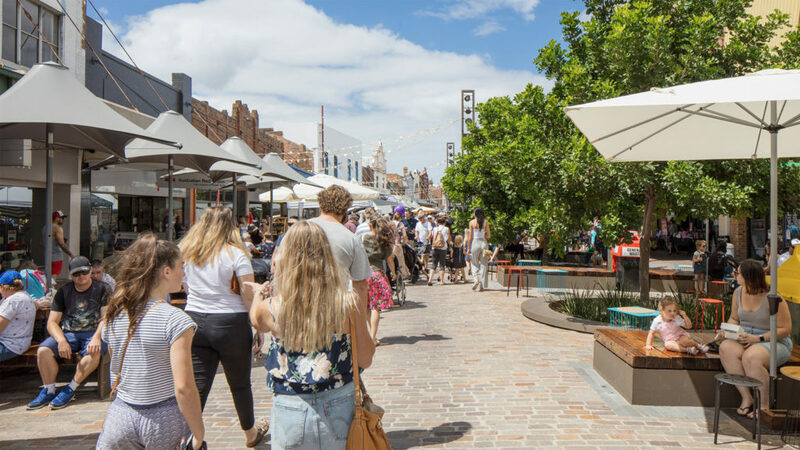 Subject to periodic flooding and competition from the expanding suburban shopping mall the street has been in major economic decline for the past decade. 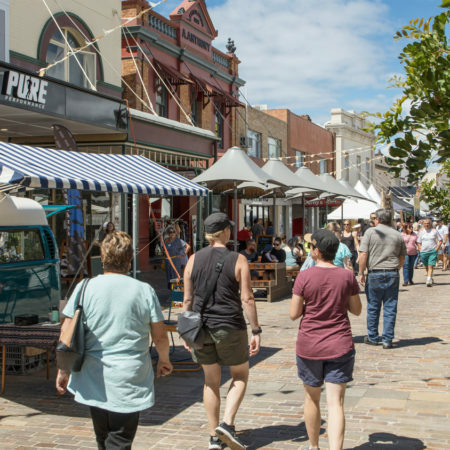 By 2010 retail vacancy rates along the street had reached 50% and business confidence was at an all time low. 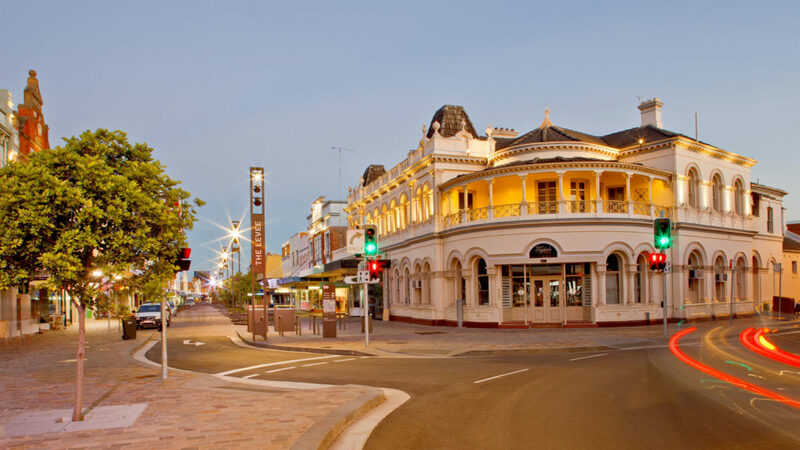 With shop fronts boarded up and petty crime increasing the local Chamber of Commerce began a campaign to pressure Council into funding a masterplan and renovation of the street. 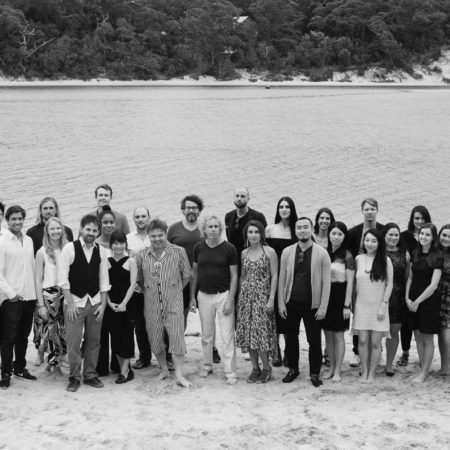 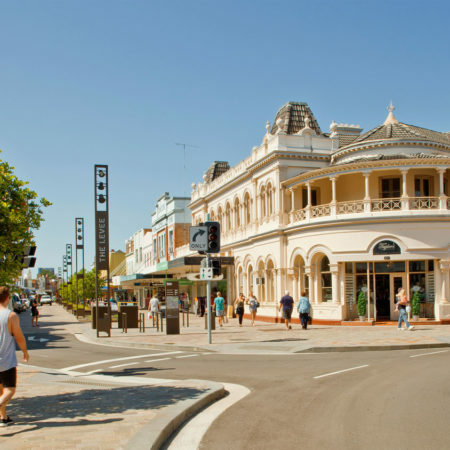 In 2012 the McGregor Coxall led consultant team was appointed by Maitland City Council to undertake a regeneration masterplan in consultation with the community and to prepare construction documentation. 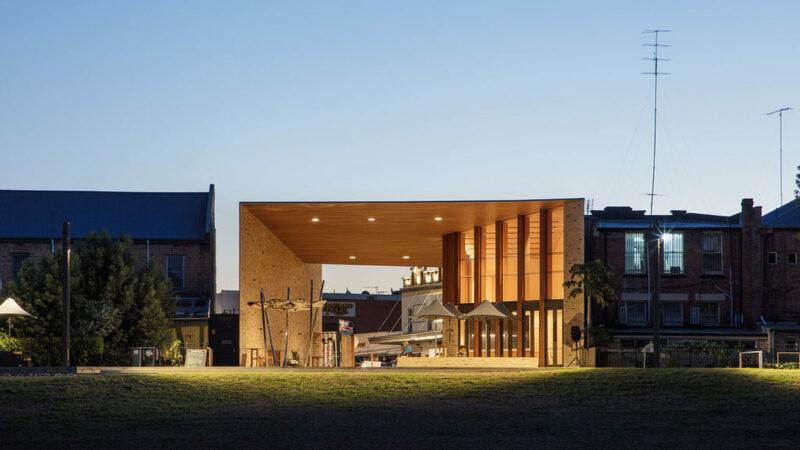 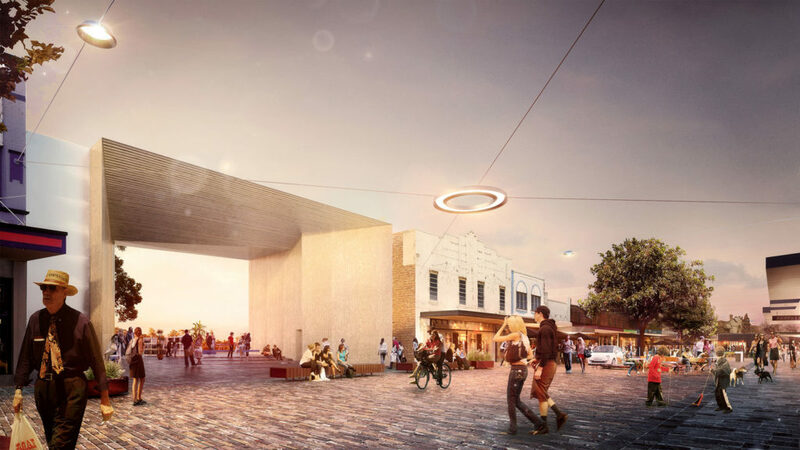 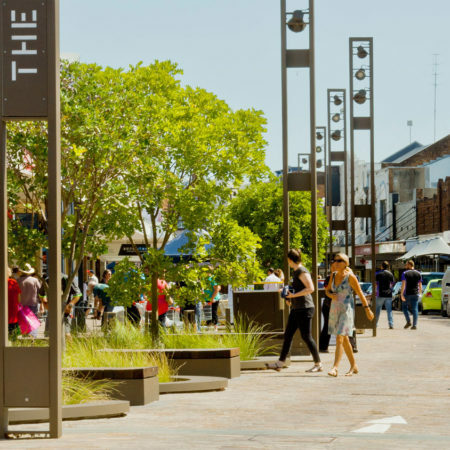 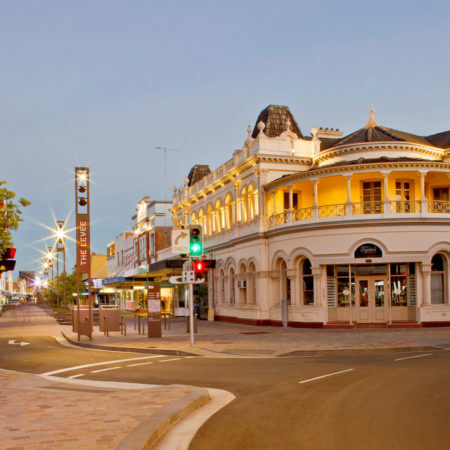 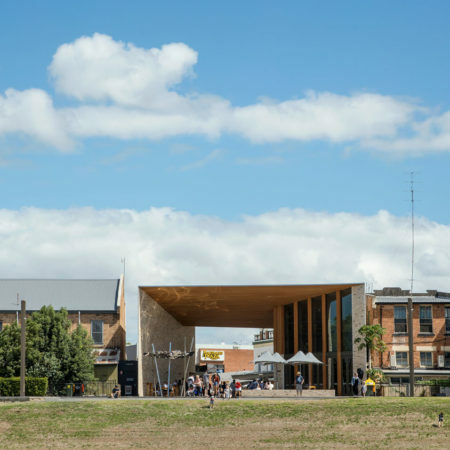 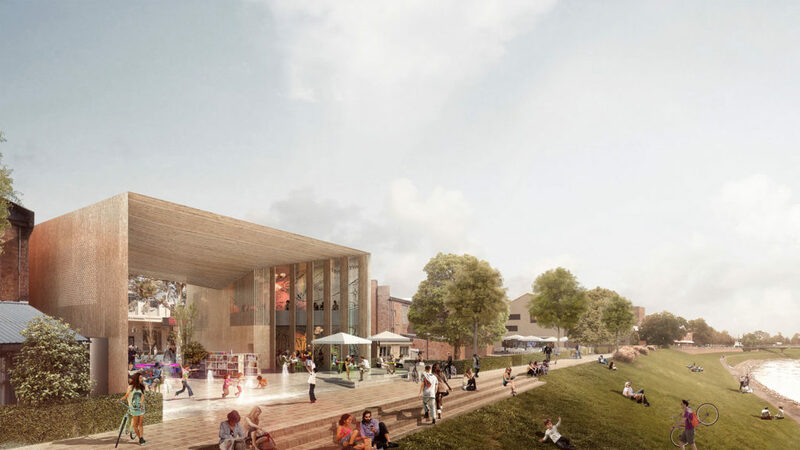 The Brief required an urban regeneration plan that would create an attractive and vibrant heart to regain Maitland’s position as the major regional centre in the Lower Hunter Region. 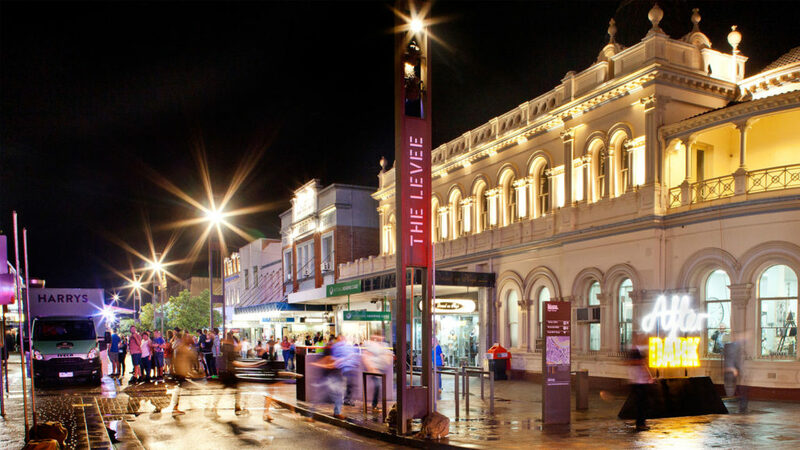 The precinct was branded The Levee after the flood levee system built to protect Hunter River towns in the 1970’s. 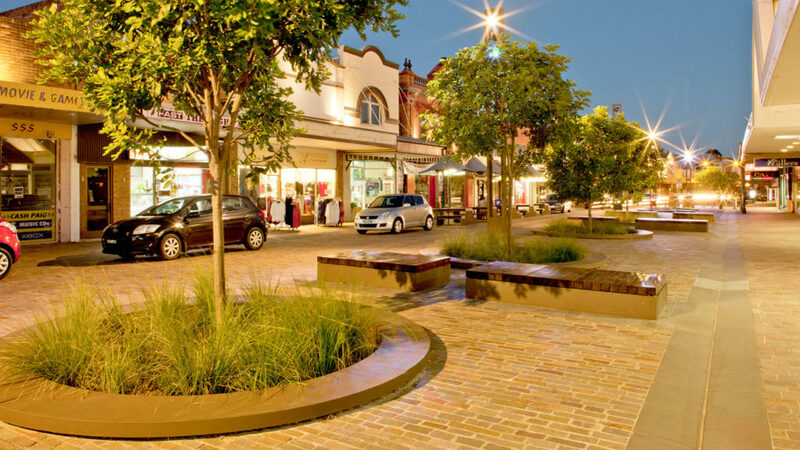 The McGregor Coxall masterplan utilised targeted urbanism strategies to revive the local economy. 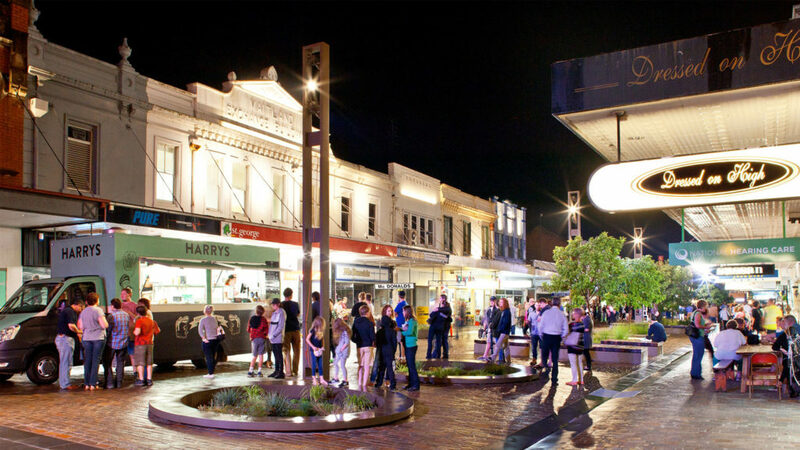 Underpinning the design was a change of use from pedestrian mall to shared zone as a means of activating the street in the short term. 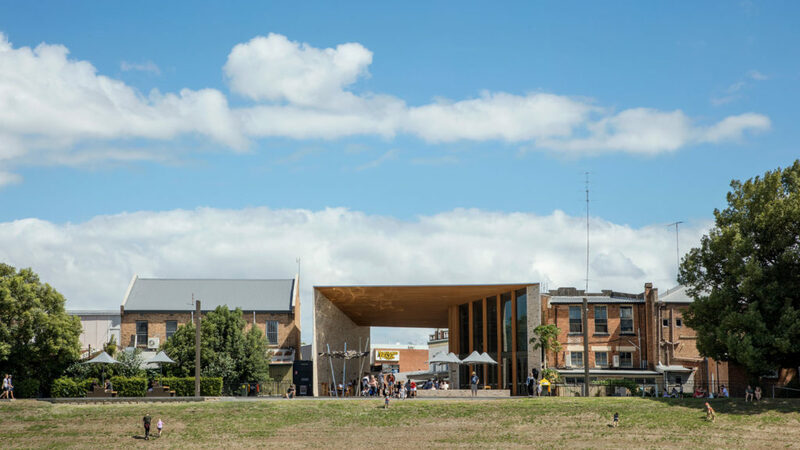 Using a stone floor, the design juxtaposes a minimalist public domain aesthetic against the grand turn of the century heritage fabric. 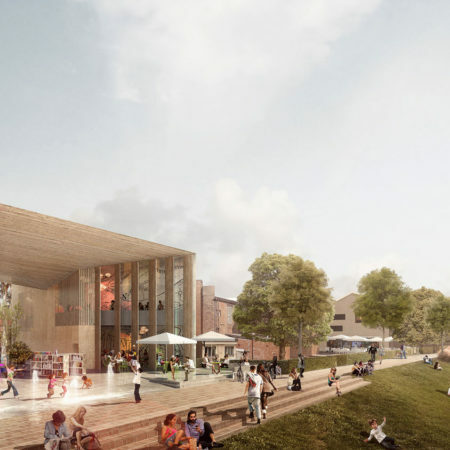 Planned with embedded flexibility for future change the design is long life loose fit. 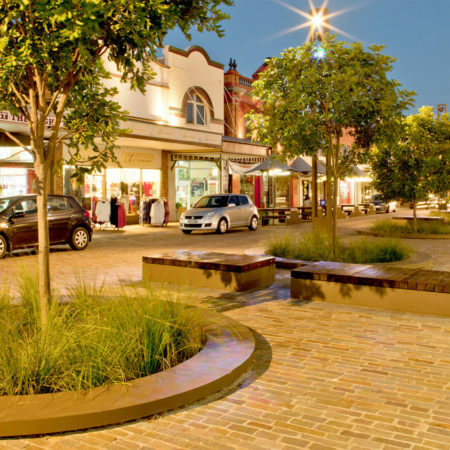 Parking spaces can be shuffled and swapped with outdoor dining as retail tenancies change. 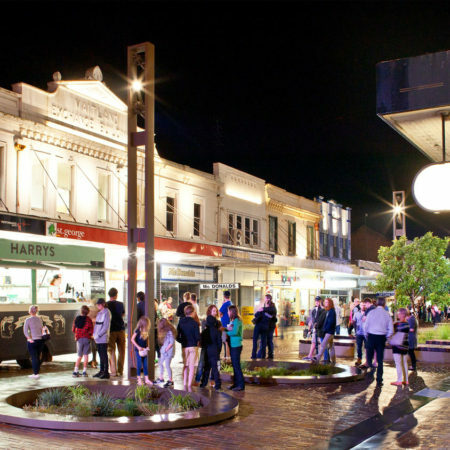 The street has smart technologies enabled with free Wi Fi and the programmable LED lighting system allows the entire street mood to be instantly changed to support the new calendar of events and festivals. 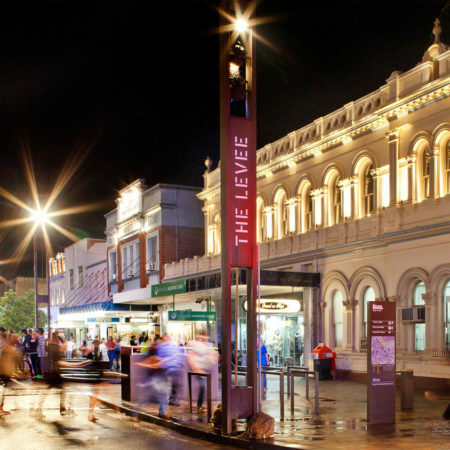 The street furniture range, way finding and lighting was custom designed by McGregor Coxall to compliment the heritage fabric. 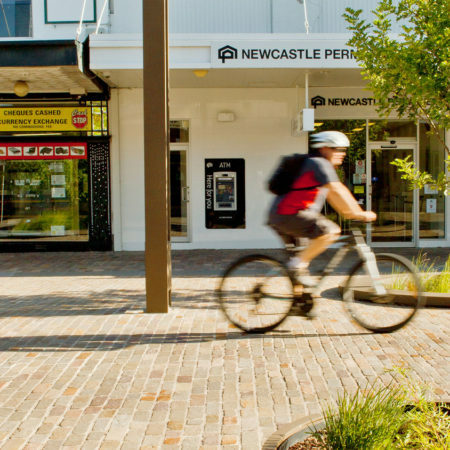 The $7 million street renovation has been heralded a success with vacancy rates now at zero. 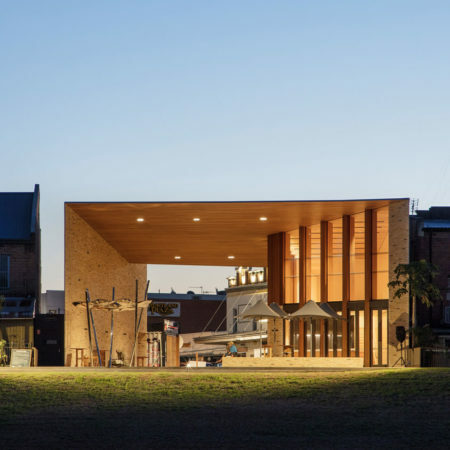 Local business and the community have adopted the design as their own. 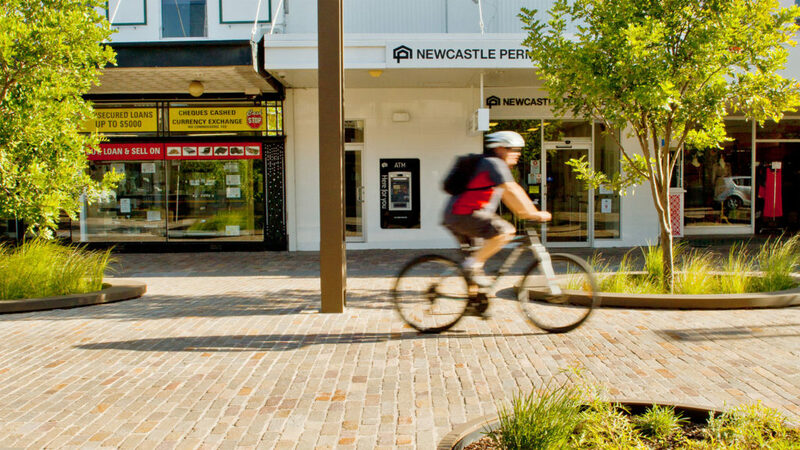 The behavior of the community has changed as drivers and pedestrians mix safely at low speed in the space. 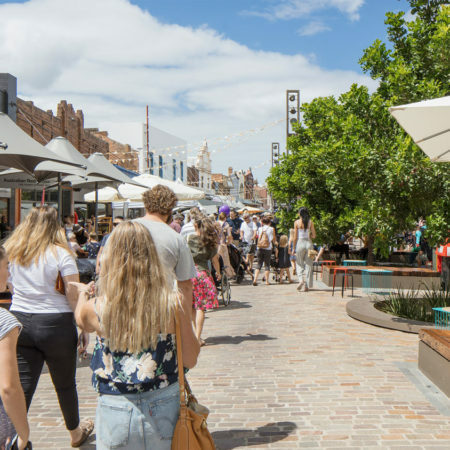 The outdoor tables are filled with people, new cafes and boutiques have sprung up and the space is filled with public life and activity. 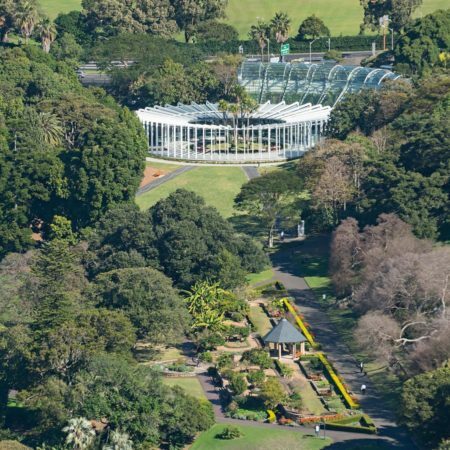 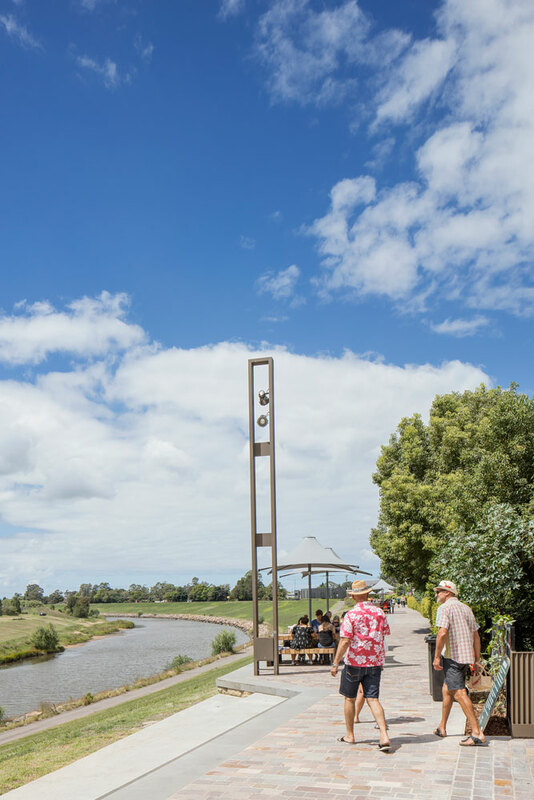 The integrated WSUD system harvests the street run off to passively irrigate the native street trees whilst filtering out pollutants before they reach the river. 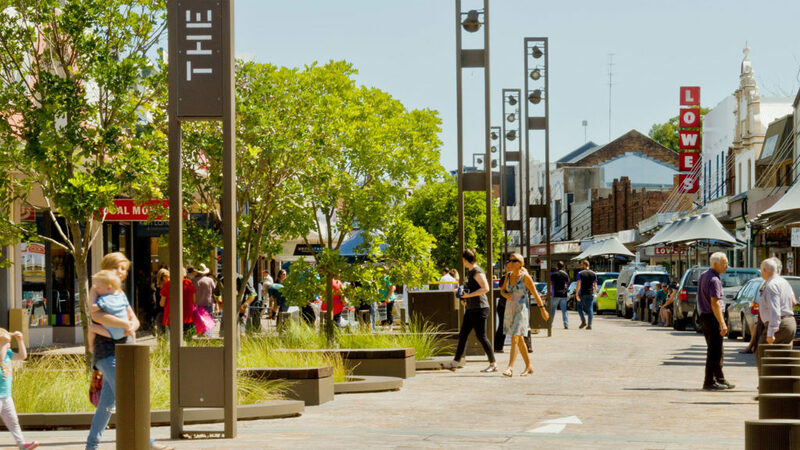 The long term strategy set out in the masterplan is to reposition central Maitland as a leisure based retail centre supported by a night time economy of local produce & Hunter Valley wine. 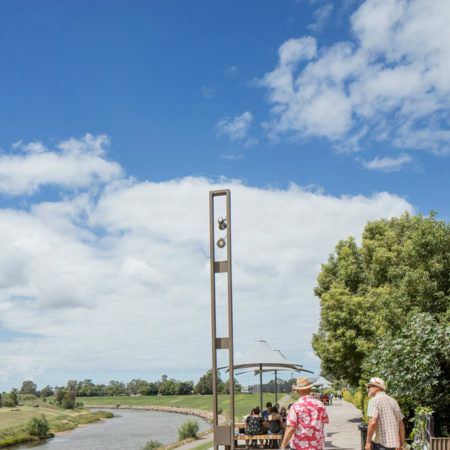 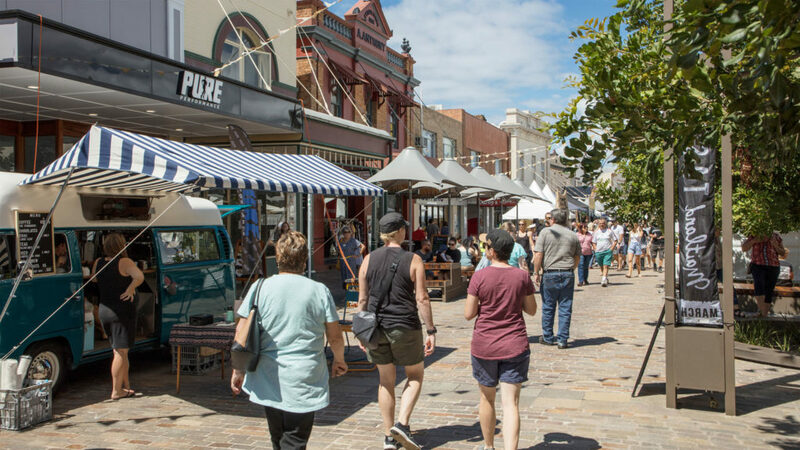 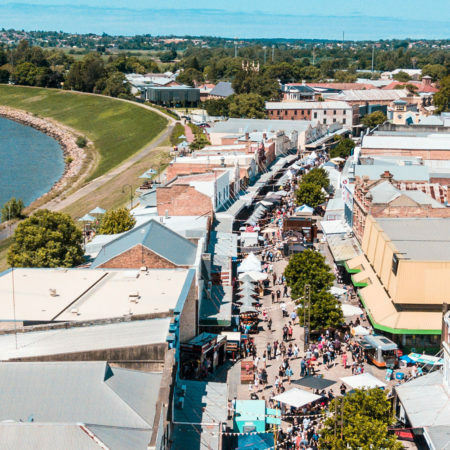 With more than a billion dollars of tourism and leisure spend in the Hunter Valley annually, the street construction is the first step in securing a share for Maitland. 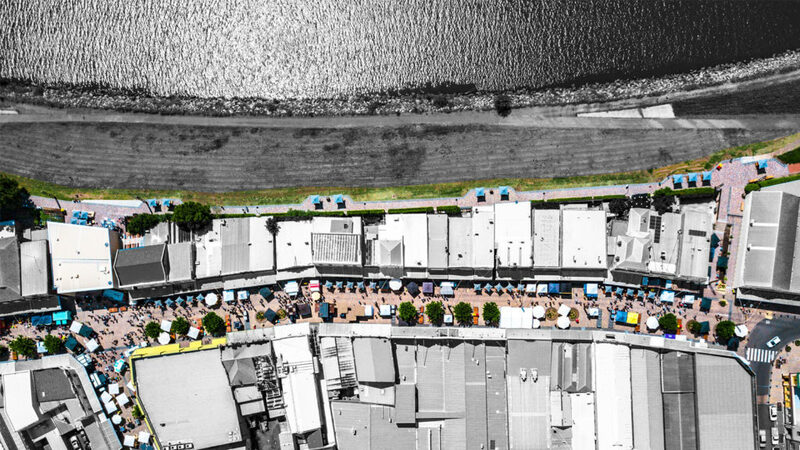 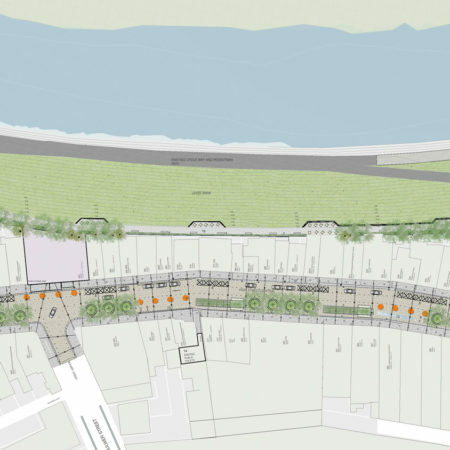 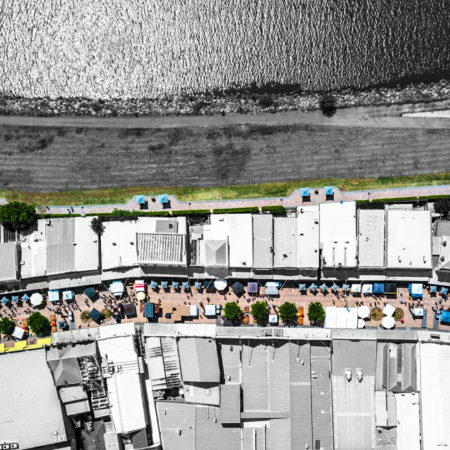 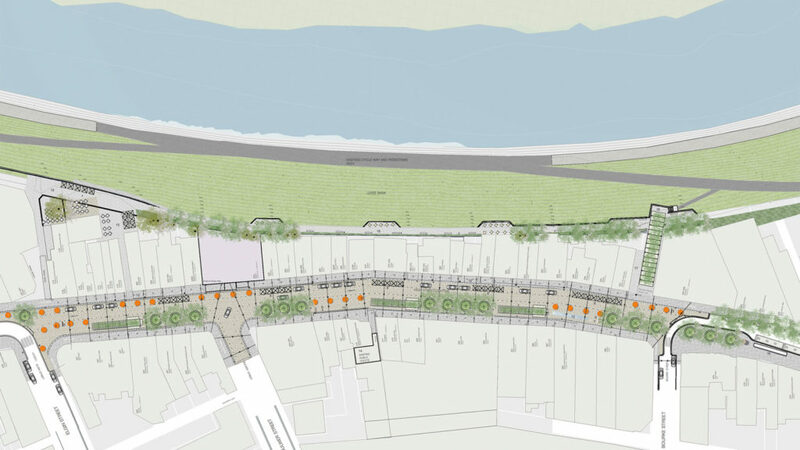 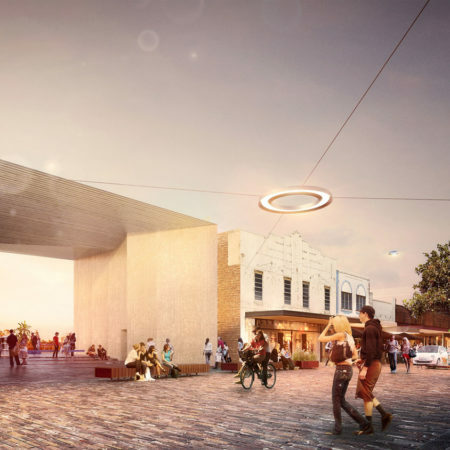 Stage two will begin construction shortly commencing with refurbishment of the riverwalk and a new River Link public building and community space designed to reconnect High Street to the adjacent Hunter River. 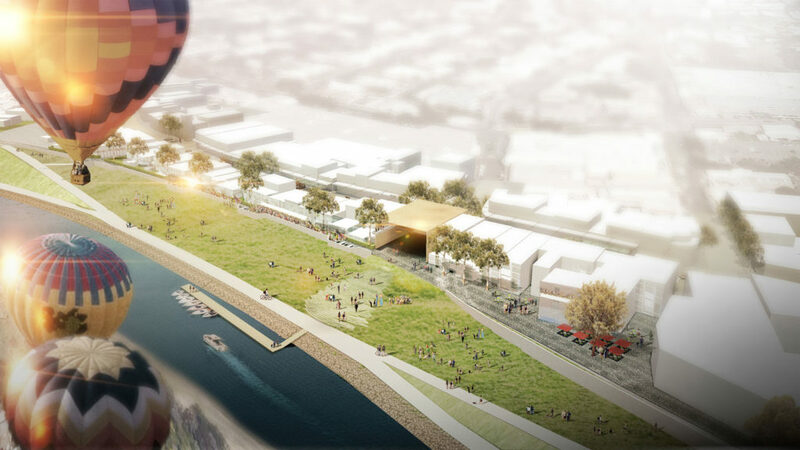 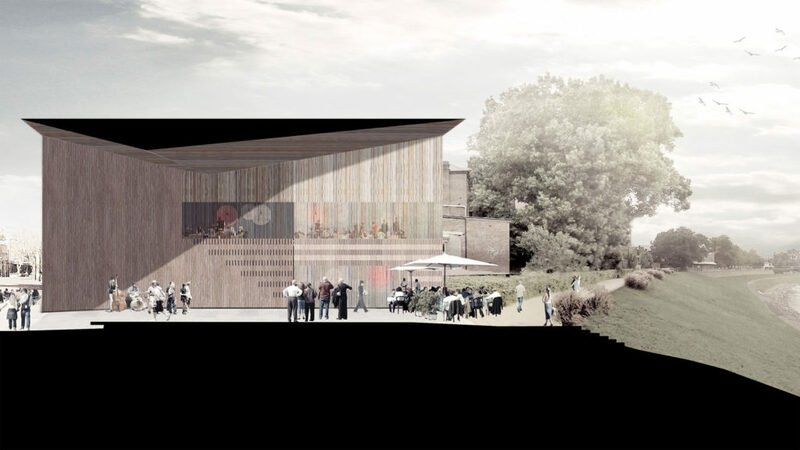 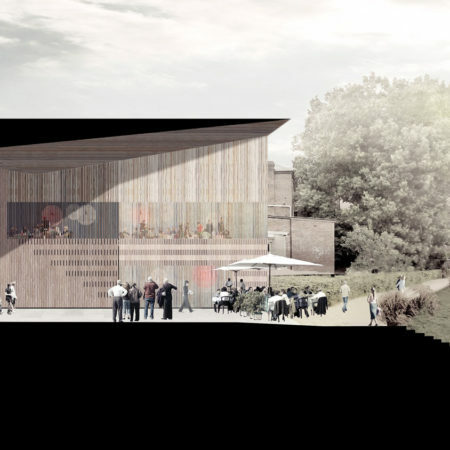 The new building is intended to seed a regeneration of the river front and encourage businesses to once again front the beautiful river landscape they were forced to fear.